It has been revealed that Ward Thomas have recorded a virtual collaboration with Roy Orbison of I Drove All Night with brand new accompaniment from the Royal Philharmonic Orchestra, now available to stream or download following its first play on BBC Radio 2’s The Ken Bruce Show. It joins 15 other classic tracks from Orbison on the brand new album A Love So Beautiful, out on 3 November. The album will be released through Sony Music in partnership with Roy’s Boys LLC, the Nashville-based company founded by the late icon’s sons to administer their father’s catalogue and safeguard his legacy. Consisting of 23-year old British twin sisters Catherine and Lizzy Ward Thomas, the duo are widely regarded as one of the most significant acts within the current burgeoning British country scene. 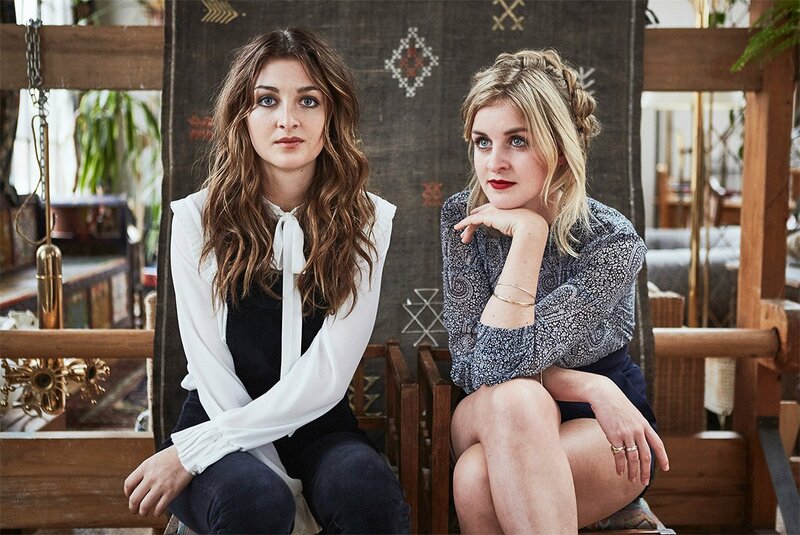 Their 2016 sophomore album ‘Cartwheels’ became a UK number one hit, the first time a British country act has achieved this feat. ‘Cartwheels’ followed their 2014 independently-released debut album, ‘From Where We Stand’. Having sold out their UK tour earlier this year, some of their major festival highlights this past summer have included Glastonbury, Isle of Wight Festival and a support slot with Tom Petty & The Heartbreakers at BST Hyde Park. Their vocal performance on the brand-new version of I Drove All Night brings a fresh take to the song that was originally recorded by Roy Orbison in 1987 and covered by Cyndi Lauper in 1989 with thrilling accompaniment from the Royal Philharmonic Orchestra. Another addition to ‘A Love So Beautiful: Roy Orbison with The Royal Philharmonic Orchestra’ is an alternate version of Pretty Paper. It utilises Roy’s original 1963 vocal track recorded in London’s Pye Studios for the holiday standard written by Willie Nelson. A Love So Beautiful was produced by Don Reedman and Nick Patrick, who were also at the helm for the hugely successful number one albums ‘If I Can Dream: Elvis Presley with The Royal Philharmonic Orchestra’ and ‘The Wonder of You: Elvis Presley with The Royal Philharmonic Orchestra’. The orchestral component was recorded at Abbey Road Studios, Studio 2, in London (a mere 1.5 miles from where Roy’s “Pretty Paper” vocal track was first recorded), while Roy’s sons recorded their parts in Nashville at Black River Studios, which was previously owned by their father. Available on CD, vinyl LP and digital formats, this brand-new album infuses Orbison’s best original vocal performances, consisting of hits and fan favourites such as Oh, Pretty Woman, Crying and Only the Lonely, with the emotion and world class musicianship of the Royal Philharmonic, London’s most notable orchestra. Roy’s sons Wesley (guitar), Roy Jr. (guitar) and Alex (drums) provided instrumental backing on selected tracks, along with ten-month-old grandson Roy III (guitar, tambourine). 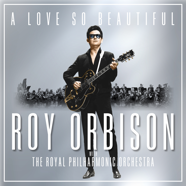 ‘A Love So Beautiful: Roy Orbison with The Royal Philharmonic Orchestra’ is available to pre-order now on CD, vinyl, and digitally and will be released on 3 November.